There is a growing tradition for charities to invent new words as titles to bring attention to themselves. Movember, Stoptober and Dryathlon are three recent examples. I can understand why they do it, because if the new word sticks in people’s minds then the charity can prove to be a big hit. Movember in particular has been a hugely successful campaign, and its name has become embedded in the language as a result. The latest effort is the brainchild of actor Stephen Amell. The star of Arrow has charity credentials, having taken on cancer with the apposite F*** Cancer campaign last year. Mr Amell said “It’s a campaign to get people talking. And what better way to get people talking than by creating a new word.” Well yes, of course I agree. New words do get people talking. But the problem with a manufactured word such as this one is that even if it does get people talking, the subject matter may be that the word is not a very good one. Clearly derived from sincerely, I’m not sure that it really develops that word in any meaningful way, and I can’t see people using it. Frankly, it just sounds like you’ve got the actual word wrong. All of which is a shame. Mr Amell clearly does fine work for charity and his efforts are only to be applauded. He also understands that getting the right new word for a charity can propel it to stratospheric levels. It’s just that this isn’t a great word. Nevertheless, I hope that despite this, he achieves huge success with his efforts. Are Empty Podiums Here To Stay? The word had already taken off on social media which is why he chose it for his charity. 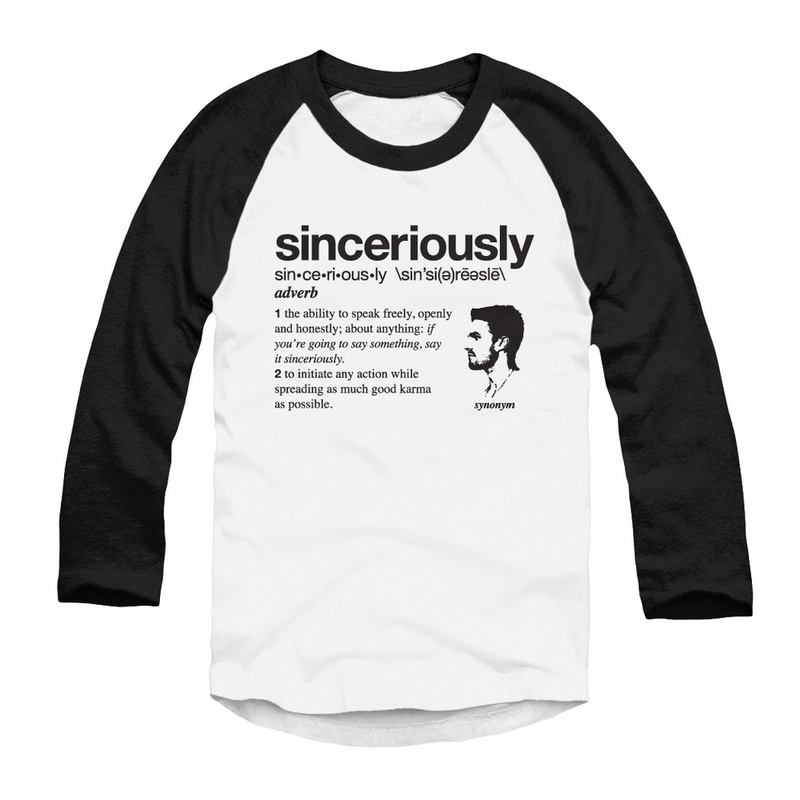 He accidentally said “sinceriously” during his Nerd HQ panel and then posted jokingly “I invented a new word. You’re welcome.” This gave rise to many memes and hashtags and much wit and humour. So the word already had its social backing before he used it for charity. He didn’t just mash two words together and stick it on a T-shirt out of the blue. It had already become popular serendipitously. Or should I say sinserendipitously.